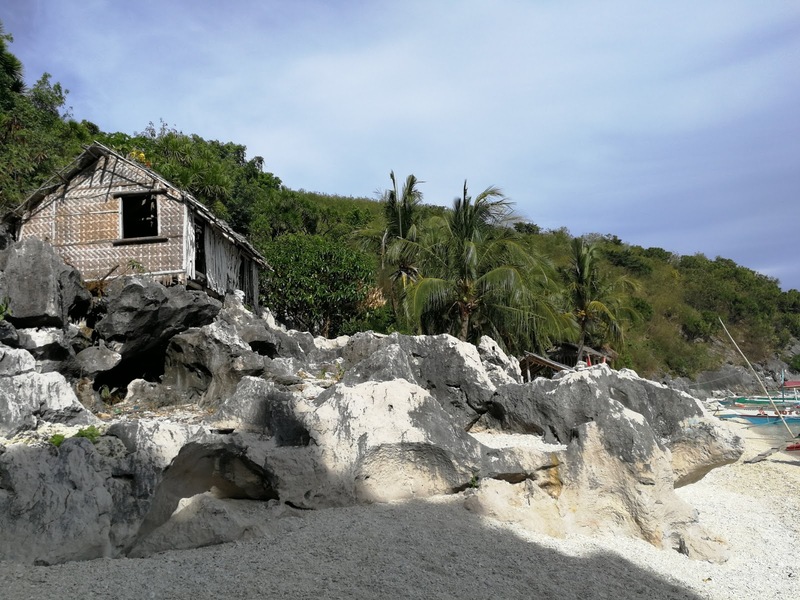 Evo & Grace: The WanderLusts: Cabugao Daco Island: One of Iloilo’s Gem. 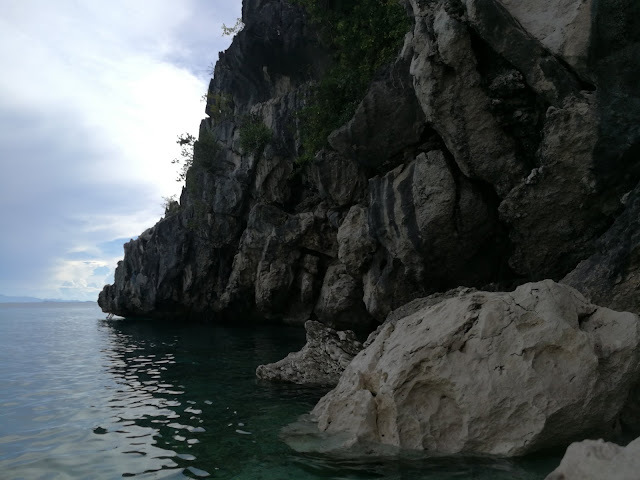 Cabugao Daco Island: One of Iloilo’s Gem. Exploring the province of Iloilo is not complete without a visit at Isla Gegantes, these chain of beautiful islands in the town of Carles is all breathtaking, beautiful and has a lot of stories to tell. Like the island of Cabugao Dako, unknown to many this bigger version of Cabugao Gamay has a lot to offer. Taken from a Ilonggo word for “Suha” or Pomelo fruit, Cabugao daco or Big Pomelo is such a pristine island with beautiful view of on top. 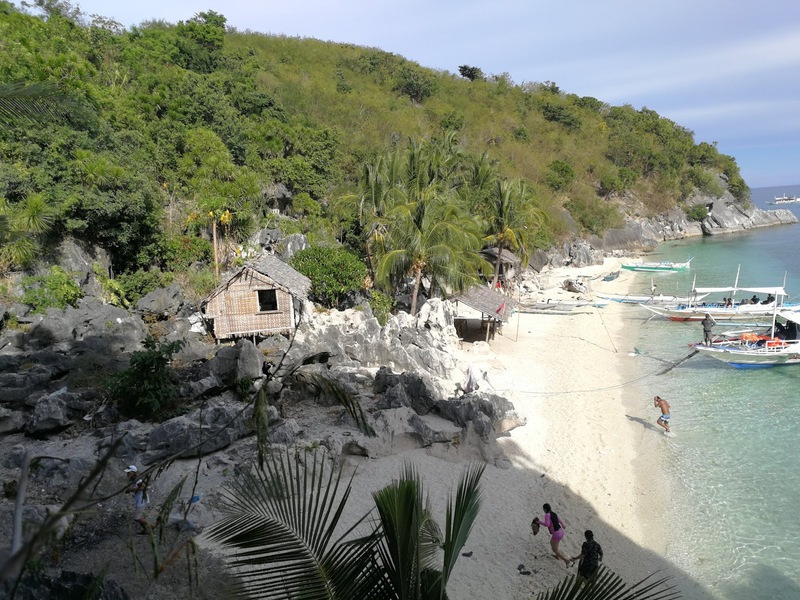 What best to do here is explore the island in a minutes or hour, be a mountain hiker, do rappels and be an adventurer to its wonderful cave, or be brave in cliff diving. 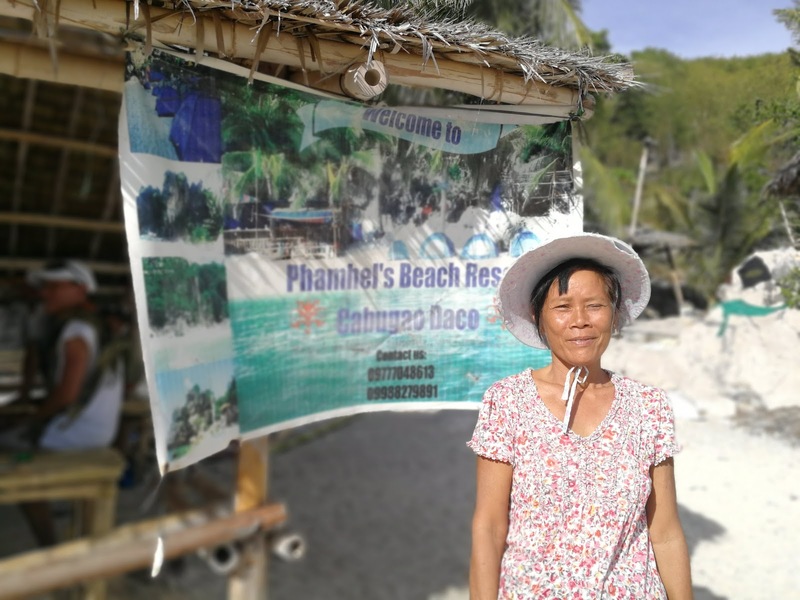 Melinda Bung-Ao of Phamels Beach Resort. 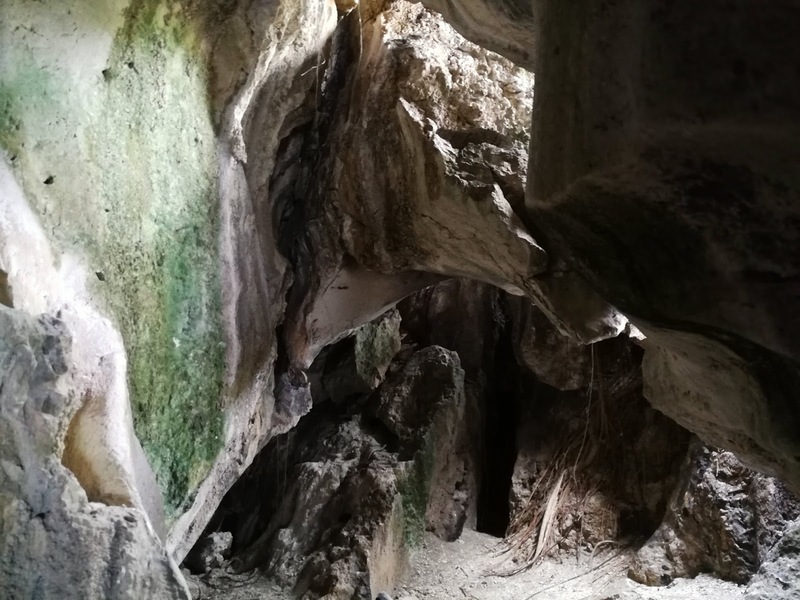 According to Melinda Bung-ao, the resident owner of the island, their caves has a lot of stories to tell way back Spanish era, it was used to be a hiding place for some and of course, a relaxing place to forget the troubles of the maddening City. 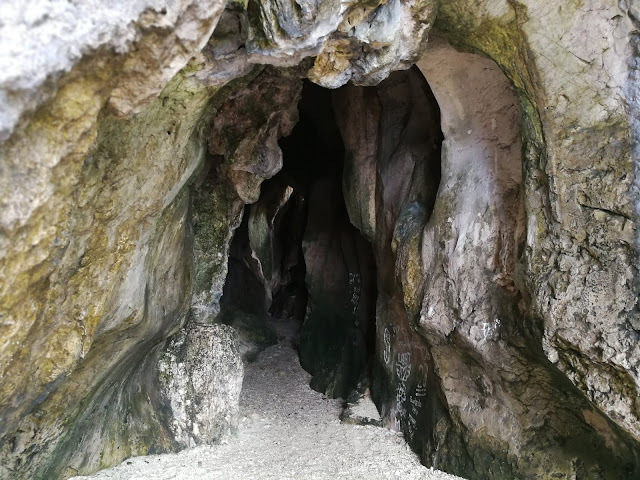 The entrance to Cabugao Daco Cave. The Cave needs to be research more, its stalactites and stalagmites formations can be something else’s, Mam.Melinda is open to that. 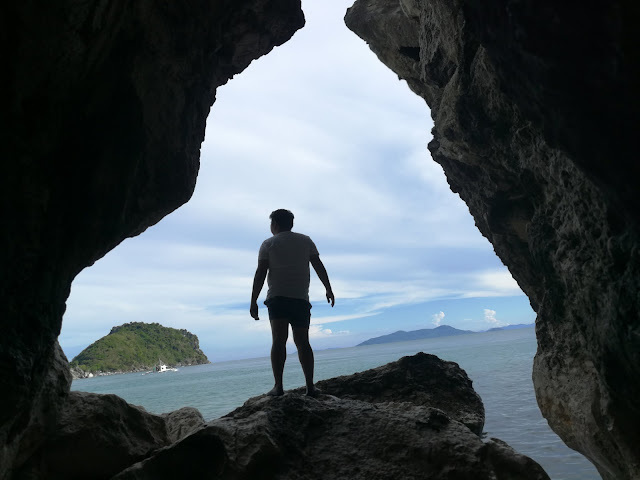 In less than 5 minutes you can explore the cave from down up to the top, but let me warn you that you really need to hold on tightly especially going on top, the other side of it offers a good view of sunset. Cabugao Dako has a small and soon to rise resort, it’s called Phamels Beach Resort that offer overnight stay and food that is arrange, they also offer boat transfer from Bangkal in Carles, it’s about 45 minutes boat ride. But take note that the accommodation they offer is just a tent, no permanent structure as of this time in Cabugao Dako. Phamels beach offer a package prize of P1,199 inclusion of all for overnight stay. Carles can be reach via bus or van from Iloilo City that is almost 3 hours ride. Day tour is also welcome, an entrance fee of P30 is a must, and if you wish to stay for a night it’s a P250 per head and you can share the tent also. Please book your tour a week ahead at least to prepare everything. 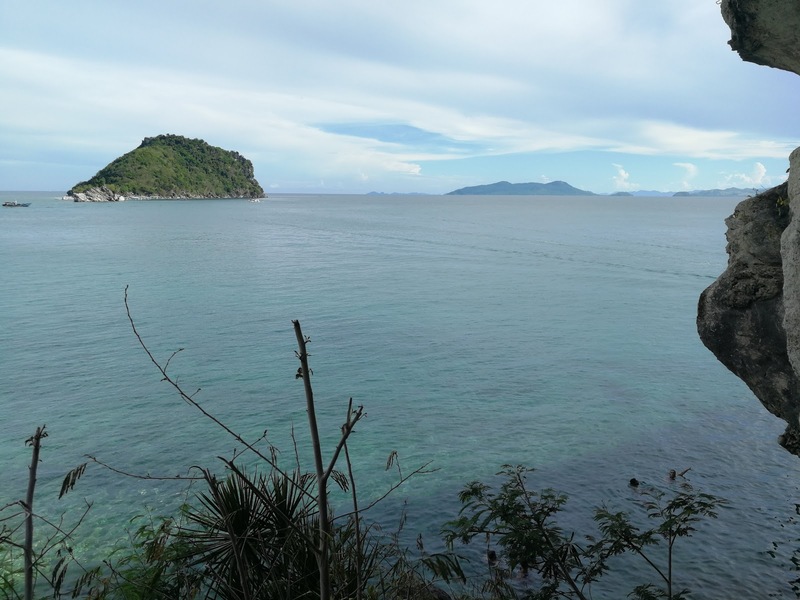 Island Hopping and other activity can be arrange by Phamels, you may send (Melinda) her a message via Smart Mobile Nos. +63938.270.9151. 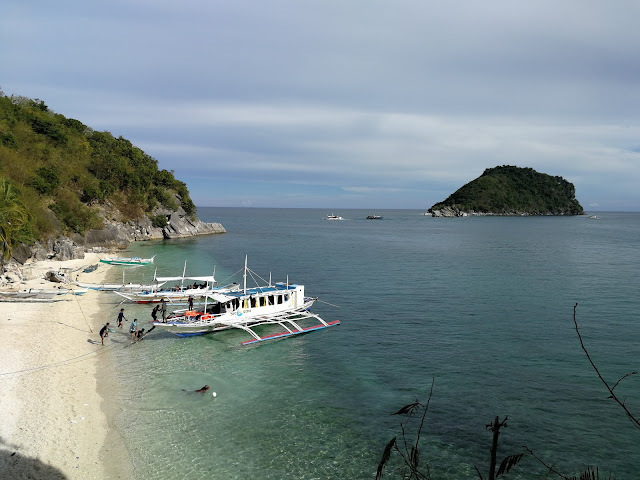 Or if you want to explore more of Isla Gegantes, you may contact Ms. Nonoy Puerselo of Gegantes Sur at Smart Mobile Nos. +63950.873.8068.